On view June 21, 2018 through September 16, 2018. 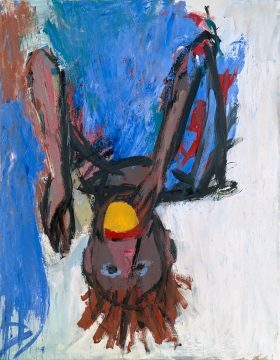 Baselitz: Six Decades is the first major US retrospective in more than twenty years of one of Germany’s greatest living artists, marking the artist’s 80th birthday. With more than 100 works highlighting every phase of Baselitz’s six-decade career from the 1950s to today, this milestone exhibition features work never before seen in the U.S. and cements Baselitz’s reputation as one of the most original and inventive figurative artists of his generation. For the first time, US audiences can experience the full scope of Baselitz’s powerful explorations of the human figure, as well as the influence of American artists on his early work and his continued impact on contemporary American painting and sculpture. 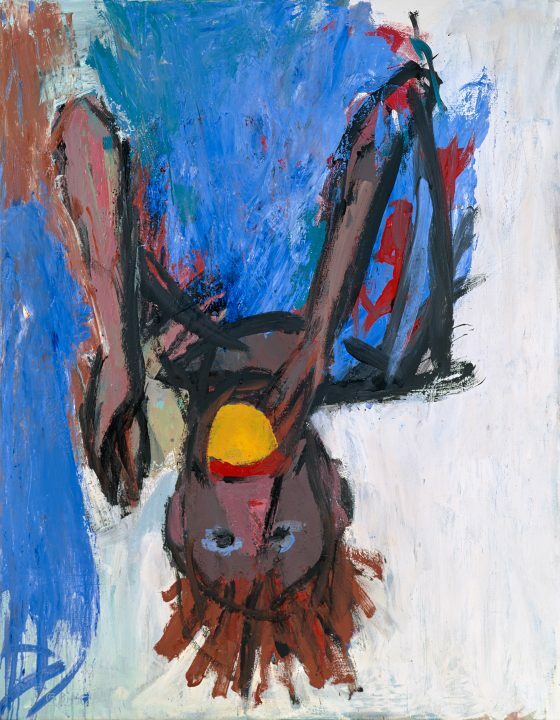 Baselitz’s creative genius, combined with his message about the inherent strength of the everyday human condition, make this exhibition particularly compelling. Baselitz: Six Decades will span the Hirshhorn’s second floor galleries, and features iconic paintings, works on paper and wood and bronze sculptures from renowned private and public collections across Europe and North America. 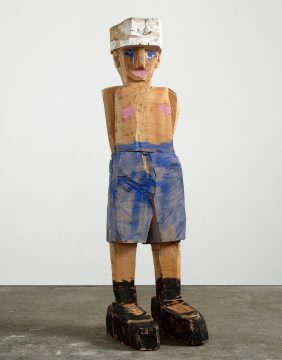 The exhibition traces the foundational impact of Baselitz’s career as he pushed the limits of painting and sculpture through lifelong artistic experimentation. Organized chronologically, it begins with paintings and works on paper from the late 1950s, when Baselitz was first influenced by the Art Informel postwar movement, which abandoned geometric abstraction in favor of a more intuitive form of expression—to which he contributed a unique figurative vocabulary. 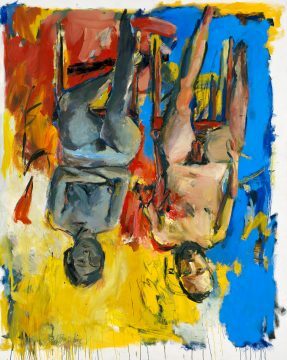 The show will include one of Baselitz’s most notable works of that period, The Naked Man (1962), in which the artist used a shocking image of a male figure to express the pervasive discontent with Germany’s socialist politics. The image was so controversial it was confiscated by authorities. Additional highlights will be the celebrated paintings from his iconic Helden (Heroes) and Fracture series (1965–1966), which underscore the strength of the German people following World War II. Additionally, the exhibition will present Baselitz’s groundbreaking upside-down paintings—an innovative practice that first brought Baselitz to international fame in the 1970s. Organized in partnership with the Fondation Beyeler, the exhibition is curated by Hirshhorn chief curator Stéphane Aquin and the Beyeler curator at large Martin Schwander. It opens at the Beyeler in Basel, Switzerland on January 21, before traveling to D.C. 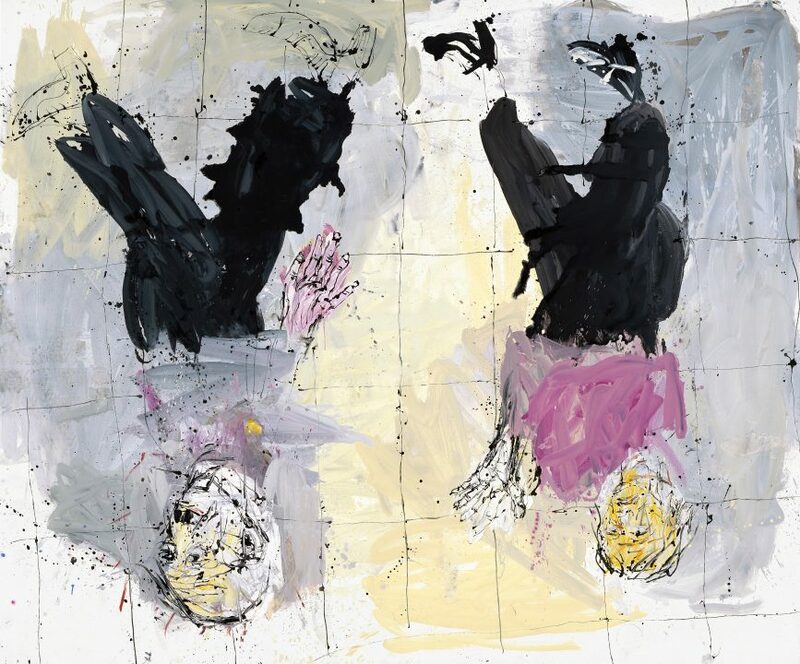 The Hirshhorn hosted Baselitz’s first-ever career retrospective in 1996, and this new exhibition builds on that milestone with an expanded look at his exceptional career. Curated by Stéphane Aquin, Chief Curator with curatorial assistance from Sandy Guttman. An object painted upside down is suitable for painting because it is unsuitable as an object. 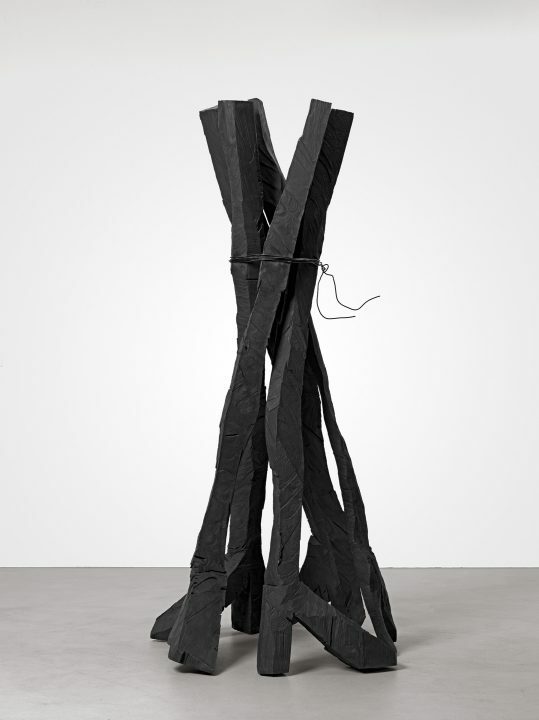 Georg Baselitz (b. 1938, Deutschbaselitz, Germany) came of age in post-war East Germany, attending art school in Communist East Berlin, where he studied the officially sanctioned form of social realism until he was expelled in 1957 for “sociopolitical immaturity.” Baselitz then studied at the Staatliche Hochschule fϋr Bildende Kϋnste in West Berlin until 1962. 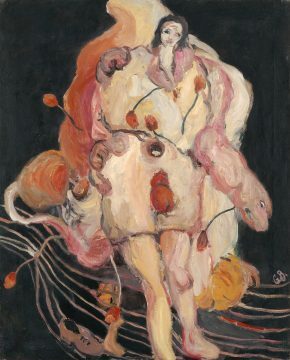 While there, he began to experiment with the revived German Expressionism that had been denounced and banned by the Nazi Party, working in both painting and printmaking formats. In 1963, Baselitz had his first major exhibition at Galerie Werner & Katz, where several of his works were confiscated by German authorities on the ground of their lewd and obscene content. 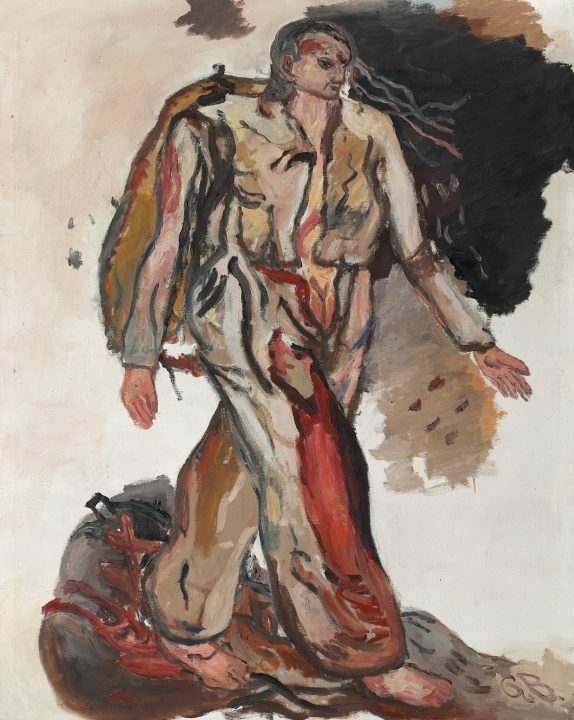 Shortly after this event, Baselitz began to work on a larger scale, embarking upon his famous Helden series. 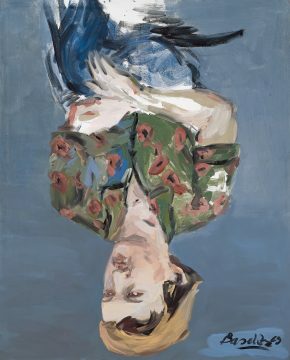 More recently, Baselitz has been working on a series of quiet portraits of both he and his wife, Elke, painted with dark washes of blue and black, somber tones that point to a mediation on mortality and aging. Baselitz has exhibited in numerous major solo exhibitions, including those held at the Royal Academy of Arts, London (2007), Museo d’Arte Contemporanea Donna Regina, Naples (2008), Kunsthalle Baden-Baden (2009), Pinacoteca, São Paulo (2010), Albertina, Vienna (2013), and Haus der Kunst, Munich (2014). Exhibition organized by the Hirshhorn Museum and Sculpture Garden in cooperation with the Fondation Beyeler, Riehen/Basel, Switzerland. This exhibition has been made possible with support from the Sidney E. Frank Foundation, John and Mary Pappajohn, Helen and Charles Schwab, Lisa and Danny Goldberg OAM, the Robert Lehman Foundation, the Hirshhorn International Council, and the Hirshhorn Collectors’ Council.